As promised, I have another helpful tip for making your move easier. A few weeks ago, I wrote some tips for prepping your home for sale and then some more to make packing for a move easier. We are fully moved in now, but we made the unpacking of the truck a bit more streamlined with this useful tip. We hired movers for this move and we had never actually done that before in our lives. We have always been the ones renting u-hauls and calling friends and family to help us out. For this move it needed to be done by professionals. We did many helpful things to make unpacking easier, but color coding is what really made the difference for the movers. All of our boxes had colored labels on them that distinguished the areas they were destined. By purchasing this moving labeling tape kit , we were able to mark each box with some colored tape. 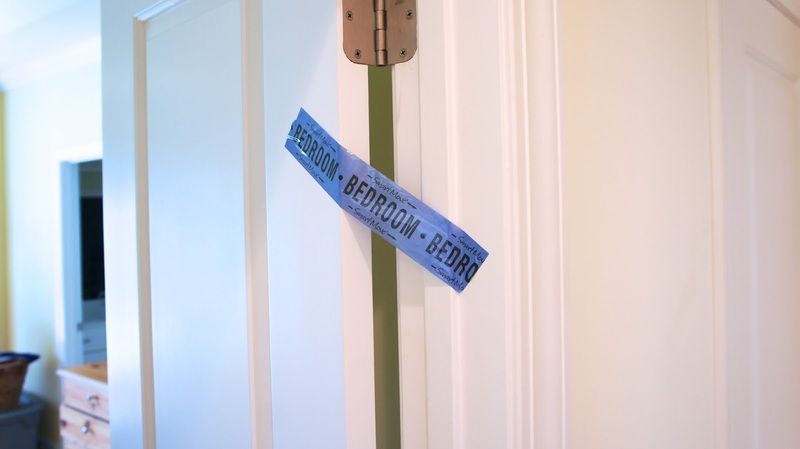 When we got to the new house, we put a piece of colored tape on the door or areas that each box was going. We also put a cheat sheet in the entryway for a quick reference tool. Doing this simple method cut down a lot of time and discussion about where each box was going to end up. The yellow went to the kitchen, blues bedroom, and orange to the basement. There was no discussion between the movers and us as the process went along. The entire process took about three hours and everything was where it needed to be, except we needed to unpack it. 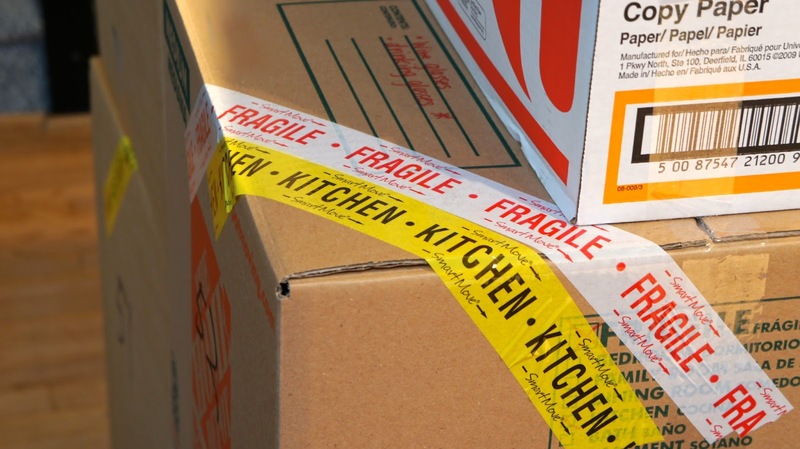 This color-coding system is simple, cheap, and totally do-able even if you already have your boxes packed and labeled. It was so nice when we were unpacking because everything was where it was supposed to be and we weren't breaking our backs moving boxes around or trying to locate them. Note, do not actually use the tape to seal the boxes, there probably isn't enough to do that. Just place it on the top two corners. This way, it can be seen from any direction. Lastly, do not press the tape hard against drywall. To help with removal, only place it gently on the doorway surface.